I found a recipe last week for Man-Pleasing Chicken and was like, "Hey, I want to please my man. But mostly me." This recipe managed to do both. It was sweet and tangy and savory all at the same time. And of course, the boy ate two helpings, which is always a good sign. This recipe just had a couple of ingredients and didn't require much cleanup, which are two things I love in a meal. First, preheat your oven to 450. Next, line a baking dish in foil (this is just to prevent a big mess, you can skip this step if you want). Then mix the mustard, syrup, and vinegar in a small bowl. 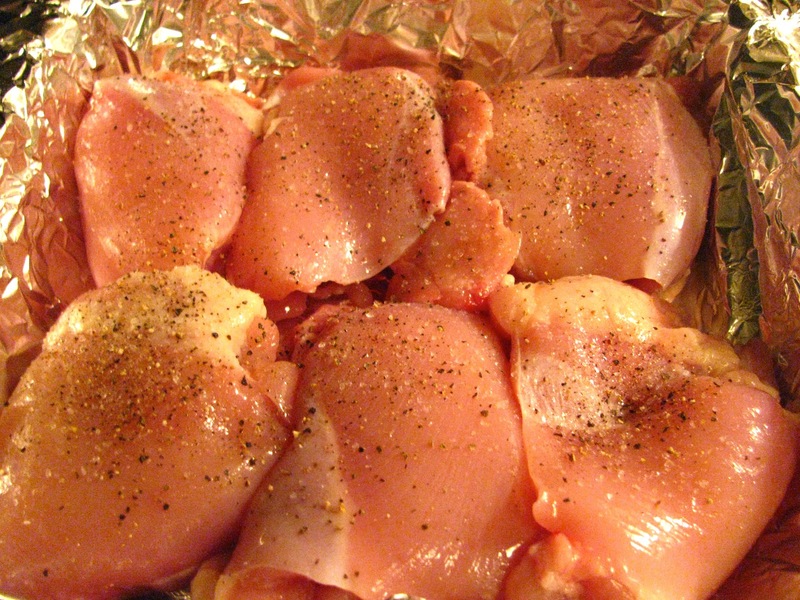 Put the chicken into the baking dish and season with salt and pepper. Pour a little more than half of the mixture over the chicken, lifting each piece so that the marinade gets underneath. If you have the time, cover and let this marinade for 1/2 an hour in your fridge. Bake for 40 minutes, basting occasionally with the reserved sauce. 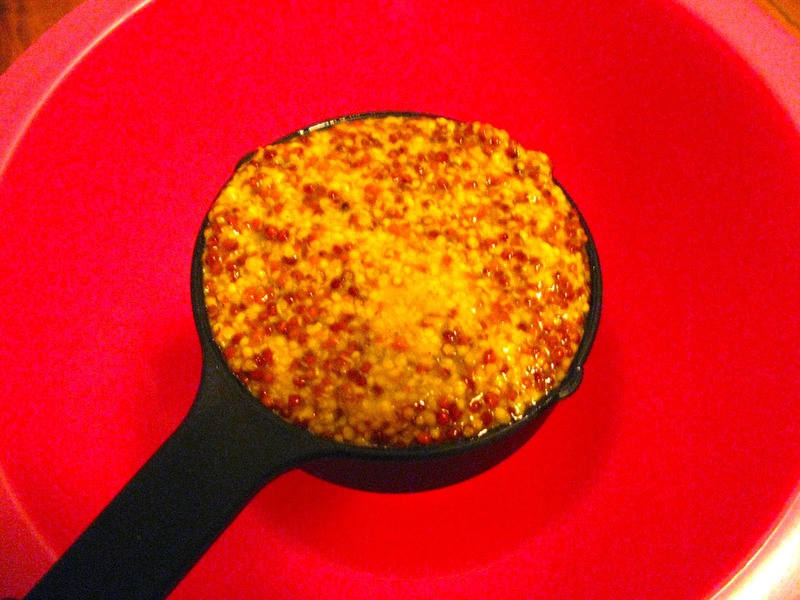 If you did end up using whole grain mustard, put it under the broiler for the last five minutes so the seeds on top get crunchy. Add some fresh rosemary on top and let sit for five minutes. Serve and enjoy! P.S. This goes really well with Rosemary Baked Potatoes. OH yum! I'm very intrigued by the maple syrup...I've never used that with chicken before! Hahaha - what an awesome name for chicken - looks delish! OMG Kristina I am DEF going to try this!! Also LOVE the name LOL! Wow, this looks and sounds DELICIOUS!